Birth asphyxia and Sepsis have been cited as one of the main causes of neo-natal deaths in Zimbabwe, a senior health government official has said. Standing in for the Minister of Health and Child Care, David Parirenyatwa; Principal Director Preventive Services in the ministry of Health and Child Care Dr Gibson Mhlanga revealed this at an event to commemorate World Oral Health day held at a hotel in Harare on Wednesday morning. 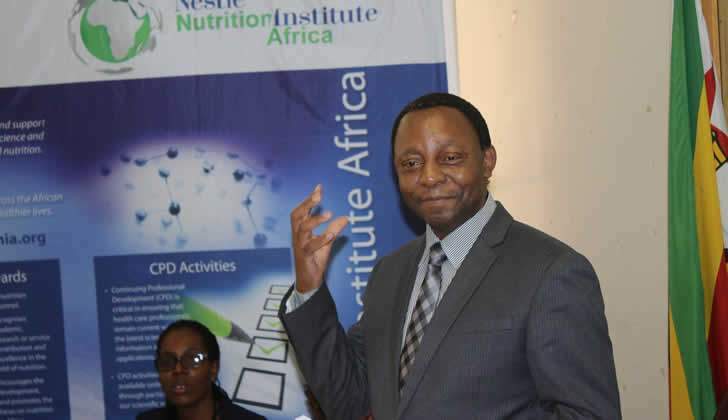 "The main causes of neo-natal mortality in Zimbabwe include complications of prematurity, birth asphyxia and sepsis," Dr Mhlanga said as he received a donation 63 neo-natal resuscitation kits by Nestle Nutrition Institute Africa. Asphyxia is lack of oxygen on the baby's brain and other organs before, during and after birth. According to Seattle Children's Hospital, without oxygen, cells cannot work properly and as a result, waste products build up on the cells and cause damage. On the other hand, sepsis is a condition which occurs when chemicals released into the blood stream to fight an infection trigger inflammatory responses throughout the body. This inflammation, according to Mayo Clinic, can trigger a cascade of changes that can damage multiple organ systems, causing them to fail. Zimbabwe's neo-natal mortality stands at 29 per 1000 live births, according to the 2015 National Demographic and Health Survey report. Dr Mhlanga thanked Nestle Nutrition Institute Africa for the donation. "We would like to thanks Nestle Nutrition Institute Africa for heeding our call and providing 63 neo-natal resuscitation kits valued at $7000. The kits will be used for training Health Care professionals at each district hospital nationwide," he said. He said the gesture by Nestle Nutrition Institute Africa shows good working relations between the public and private sector. "This signifies great private sector support aimed at reducing national neo-natal morbidity rate."